Sometimes it is hard for us, as Christians, to know how to address the differences we encounter among those around us who are not saved. Marlita shares her formula for tackling this issue in a way that respects freedom of choice, treats other with dignity and love, and allows us to maintain God’s standard. 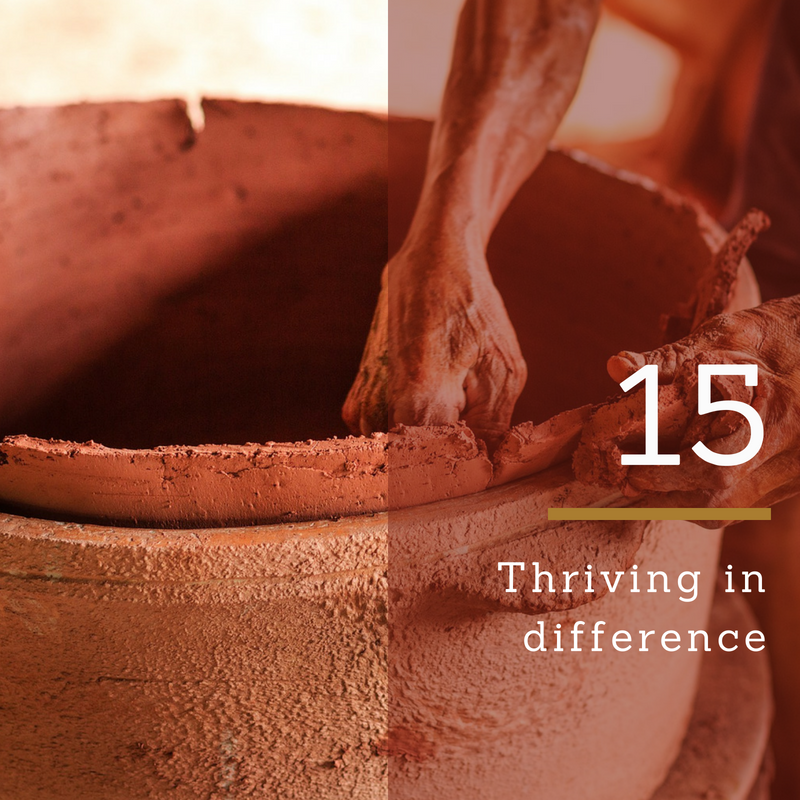 In episode 14, we started to look at our place as Christians in secular culture with the following question: how do we interact with people who ascribe to different beliefs, live different lifestyles, and have different perspectives than we do as Christians? This is an important question because, as career artists, and really, as human beings living day-to-day life on the planet, we encounter people who are different than us all the time. I must admit this is something the church still hasn’t really gotten right. Some still don’t believe this is something we should even be trying to do in the first place. But, in Matthew 13 we find that the Lord Himself sows His children into the world. And in John 17, Jesus prays to the Father that He not take us out of the world. And by being in there, we interact with people of all sorts. In this episode, I want to continue answering that question by sharing a little formula the Lord taught me in dealing with others who live and believe differently than I do. Walking in love as a Christian in cultural difference can sometimes be very murky; because from culture to culture we define love very differently. When I speak of culture, I don’t mean culture in the ethnic or racial sense, but culture in its broadest sense: that being a system of beliefs and way of living. We interact with these differences throughout various life issues, for example sexuality, which, as an artist, is a very pervasive issue. Now, where you stand on that is none of my business. That’s between you and God, and that is not what this show is about. But, like that issue, there are many other real, everyday issues that we encounter everyday, that we see people interfacing with everyday; often times in ways that are contrary to Godly standards. And, as a Christian it can sometimes be hard to know what to do with this difference we face because, in saying anything about it, you are seen as judgmental, bigoted, or someone not walking in love. That is love by biblical standards. But nowhere in that passage does it say that love agrees with all things, that love allows all things, that love excuses or endorses all things, or that love permits all things. It doesn’t say that. As Christians, our job in loving other people who are not like us, is to see them as someone Christ has also died for. It’s to see them as someone God also desires to be saved by His love, no matter what we see them doing, and no matter how long we see them doing it. In loving them, we are always to see them with the hope that God sees them, and to constantly extend that hope to them. I didn’t say to shove scriptures down their throat’ and I didn’t say constantly throw God in their face – even when you have good intentions. Simply see them and treat them as God does, no matter what they do, because that’s how God will treat them and see them. And if they should ever decide they want God, then no matter what they’ve done and no matter how long they’ve been doing it. He will be right there to deliver them and shed His love abundantly on them, just like He did with us. But that doesn’t mean that I’m looking at what they’re doing and saying it’s okay. Now, truth be told, it’s not my place, or your place, to say anything about what you’re doing unless the Holy Spirit places it on our heart to share His hope for them, with them. I don’t excuse what they’re doing, but by extending and sharing the hope of God for them with them, I expose the lie in what they’re doing. The next step is to respect the choice. We dealt with that in episode 14. And the last step is to hold the standard. Hold what standard? God’s standard. Now, like I said we are not the standard or conduct police; but that simply means I’m not going to chase you down or beat you over the head with what God has said. But if you ask me my opinion, or you bring me into the conversation, then whatever comes out of my mouth, and what you see reflected in my life, will be in line with the word of God. That’s not something I’ll shy away from. And when I talk to you about it, while I’m holding my standard, I will do so in a way that respects your right to live however you want to live, regardless of what I think about it. And I will talk to you in a way that sees you as someone worthy of dignity and worthy of God’s best love, regardless of what you’re doing; because that’s how God loved us. However, the standard doesn’t change. And how you feel, or what you say about the standard doesn’t change the standard. Nor does it have any bearing on what I do in pressing to living more and more by that standard. Respect the choice is where I let you do you. And holding the standard is where I do me… God’s way. So, there you have it. Love the person. You don’t have to agree with them to love them. Respect the choice. They have a right to choose their way of living, just like you had the right to choose God. Hold the standard. No matter what I see y’all doing, as for me and my house, we will serve the Lord. Next Post Ep 1 – Faith and Art. What About It?